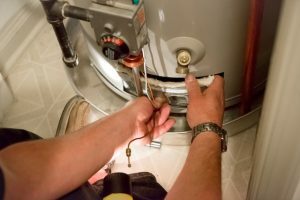 What’s Wrong With Your Water Heater? As colder weather approaches, you want to be sure that your water heater is running smoothly. As colder weather approaches, you want to be sure that your water heater is running smoothly. But what happens if you want to take a shower or bath and there’s no hot water? Something must be wrong with the water heater. Here are some reasons why that could be. The problems with your water heater could be completely simple to figure out. What that means is that the pilot light has gone out. Without the pilot light, there isn’t a heating element for the water to warm up with. Using a gas flame for a pilot may be a thing of the past, as improving technology has made them almost totally obsolete. Even so, older models of water heaters still use them, and they are still common even for newer models. When the pilot light doesn’t work, the rest of the water heater’s system won’t work. Luckily, it isn’t too difficult to fix, either. Relight the pilot light, and then see if that restores your hot water supply. With that in mind, you need to let the water reheat, as it won’t be an instant fix. But even after you relight it, it’s possible for the pilot light to fizzle out again. If the light stays on, but you still don’t have any hot water, then something else is the matter. How often do you have your water heater inspected? Because the other problem that could be affecting it is a buildup of sediment – cleaning up the tank will make a huge difference. The sediment will leave behind a layer of insulation, which in this case is a problem because it gets in the way of the heat transferring into the water. If you have noticed that your home has hard water, it could point to the sediment in the water tank. It needs to be flushed out, but once it is, your heater will return to normal. This entry was posted on Friday, September 28th, 2018 at 2:19 pm. Both comments and pings are currently closed.